You have fewer than 20 contact teaching weeks to go before the ATAR. The April holidays are going to be your last chance to sit back and get organised. April is the last relax time you are going to have until your final exams are over. Plan your time through until the ATAR exams, including relaxation time. Take that time off…. Guilt free. Total relaxation. Tip 2 Humanities or Science? Uni or TAFE? If it is Uni decide which uni is best for you. You can go to their open days in July and August. If TAFE, get an appointment at your local Jobs and Skills Centre and get the experts to show you opportunities. In Year 12 it is time to check important dates, exam information, double check WACE requirement to make sure you comply. They are all in the Year 12 Information Handbook. Most successful students get at least some revision support from one of the companies that provides mid year ATAR revision programs. Ask them for help to achieve that goal. If you have any great tips for Year 12 survival please send them through. The monthly In focus Careers Newsletter helps you to see what is possible. Contact me for a complimentary copy. Thank you for such wonderful work throughout the year. (XXXX) SHS has found your newsletters to be so very, very helpful. We are so appreciative of your efforts and look forward to the 2019 issues. Categories: Career Advice, Planning, TAFE, University, Vocational Education and Training, Year 12 | Tags: Leaving school, Uni, Year 12 | Permalink. Applications close for Concession and Access consideration for the UCAT on 10 May. There are concessions for people who hold or are dependent on a person with a Health Care Card or Pensioner Concession Card. Applications close on 10 May. Candidates with special educational needs, disabilities or temporary injuries may be entitled to extra time or accommodations when sitting the test, however applications for these arrangements must be accompanied by suitable official documentation and be approved in advance by the UCAT ANZ office. You have a choice of times and locations when you book your test. In the past regional and remote students were disadvantaged as the old test was always held after the mid year holidays. The timing is now more suited to the needs of applicants. The best change is the number of practice tests and resources for candidates. There are videos and practice tests on the UCAT site. UCAT recommends that you do NOT go to private companies to learn how to do well on this test as this is the first time it has been run in Australia and they have little idea of what to expect. UCAT have put up a lot of information and they have done everything they can to ensure candidates have the best opportunity to demonstrate their strengths. If you have applied for a Concession or for Access consideration can you let us know if the process worked for you? Categories: Career Advice, Medicine, University, Year 12 | Tags: Medicine, Medicine Entry, Medicine Test, UCAT | Permalink. If you want to get into medicine in 2020 registrations for the UCAT are now open. Curtin University is the only one to offer school leavers direct access to medicine as an undergraduate degree. The UCAT is now the external exam that is part of the application process. UWA – Direct Entry to Medicine and Dentistry. A limited number of students with an ATAR of 99 will be offered direct entry to medicine or dentistry. Those who are confident of an outstanding ATAR score must do the UCAT as part of their application process. Direct Entry students undertake an undergraduate degree before starting medicine. The UCAT seems better than the old UMAT. It is a 2 hour, multiple choice, competency based test that seeks to determine your innate suitability to become a doctor. It can be done at any time in July but must be done by the end of the month. The test is done in your final year of school and you can only do the test once per year. The 2019 test is only for entry to medicine in 2020. There are 5 elements to the test – Verbal Reasoning, Decision Making, Quantitative Reasoning, Abstract Reasoning and Situational Judgement. There is an abundance of information about the tests on the UCAT site. Students from regional and remote schools don’t have to take time off school during term time to do the test. There has been a lot of consideration given to applicants who have a medical condition or disability and modified tests are available for those applicants. There has been a lot more work done to prepare students for the tests. There are practice tests, videos, tutorials, question banks…. everything they can think of to help you to perform well, has been provided. UCAT’s attention to providing information and coaching on techniques and timing is the best way to prepare for the test. You must do the preparation that is provided on the UCAT site if you hope to be competitive in the test. As this is the first time the UCAT has been run in Australia there will be little knowledge to share among applicants but Whirlpool and Medstudentsonline are two social media sites where you can chat to other applicants around Australia. 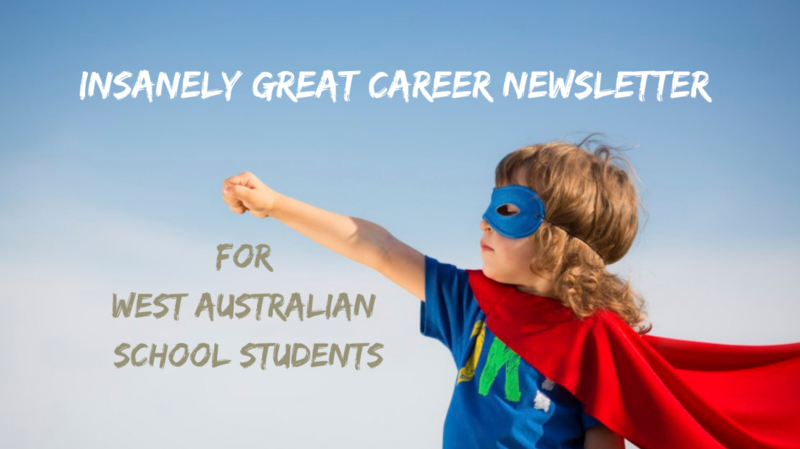 To stay informed about West Australian developments in employment, education and training subscribe to the insanely great In Focus Careers Newsletter. Categories: Career Advice, Medicine, University | Tags: Medicine, UCAT, UMAT | Permalink. ….how does one even define ‘success’? This answer will (and should be) different for every person. So it’s good to take a minute and think about how you personally define success, and what kind of person you’d like to be if and when it happens. Otherwise, how will you know when you arrive? Read his advice on career success at the Aussie Theatre website. 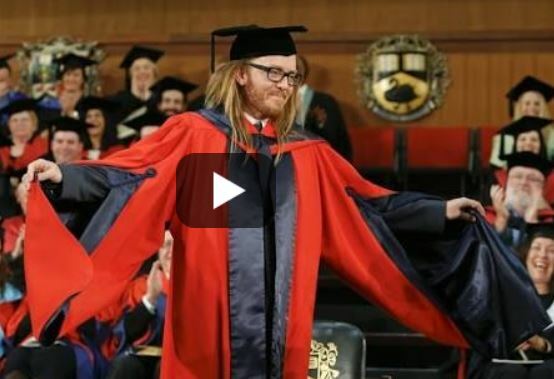 Tim Minchin and Eddie Perfect seem like the same sort of guy. Tim gave a “9 Rules to Live By” address at UWA which has become famous. I never remember advice that people give me but these two say things in an entertaining way. If you need help to find the best path towards your career journey, contact me at Bev.J@infocus-careers.com.au or ring me on 0434056412. I will do my best to be wise and entertaining!! Categories: Career Advice, Parents, Senior school, University, Year 12 | Tags: Career Advice, Work | Permalink. These tips will guide you through a smooth transition. This site will help you to have a bit more confidence when you first start uni. There are study hints , pages on “What I wish I’d known“, Survival Hints, a glossary of useful terms. It has information about anything and everything they think could help you. If you are disadvantaged IN ANY WAY, universities have special support services designed to help you. Tap into these services even if you are NOT disadvantaged. There are more expert mentors available than students who choose to use them. People love helping people, particularly if their help is valued. Go to the website of the university of your choice. If you can’t find the special service you are looking for, contact student services at the university. Contact the services early. This will give them plenty of time to link you in with support and services before the rush at the start of the academic year. If you want to change your mind about which university you want to go to you can do that for a fee. To be considered for a first round offer you will need to get your preferences in to TISC by mid-December. You can check Which University is Best for YOU. Notre Dame is the top ranking private university in Australia and Edith Cowan University is the top ranking government university in Australia. If you want to find out more about applying in other states or territories check HERE. I stumbled upon Whilpool.net.au when I was researching views on schools of medicine at different universities. Students use the discussion forum to ask questions and get information from other students who are already in courses. I found a lot of candid information about medicine courses at universities around Australia form current and past students. If you want to know something about a university or course before you fill out your TISC application, you could try asking a question on Whirlpool to see if you can get some good feedback. . The number of alternative pathways is increasing. Information about alternative pathways to each of the West Australian universities is available HERE. Join the Australian Defence Force (ADF) and have your fees paid for via Defence University Sponsorship. You can study a relevant degree at an accredited university of your choice, have your fees paid for and earn a salary, then walk straight into an ADF role following graduation. Get your Career Advisor, Year Coordinator, Home Room Teacher or a family friend to help you to find hundreds or even thousands of dollars in scholarships that could help you to pay for your university or TAFE courses. Make going for scholarships part of your new life. Many students win more than one scholarship. The Australian College of Nursing administers nursing scholarships . You can subscribe to a newsletter about WA university scholarships on scholarshippd.net. Some scholarships require a personal statement and references which may take some time to compile. Check Centrelink for information about financial support including relocation and rent allowances. Check the Good Universities Guide for a broad range of information on how to get financial support. If you are anxious about your transition from school to university contact me for a free one on one consultation. Categories: Alternative Entry to Uni, Career Advice, Planning, Senior school, University, Year 12 | Tags: Going to uni, Leaving school, Student life, Year 12 | Permalink. Is it ever too early to start at university? Now you can start your degree while still at school. Three universities in Western Australia offer free, or low cost, university units to school students. Starting uni early will not only save you money, it will give you a taste of university life and teach you adult learning styles, you will meet lecturers and learn about their expectations and be treated as an equal in an adult world. Getting a taste of uni while still at school could help you to decide which career direction to take. The Horizons Summer School enables year 11s transitioning to Year 12 to experience university, get academic skills for year 12 and get credit for one unit towards a Murdoch degree. Students participate in lectures, workshops, labs and group activities to generate innovative solutions as they explore various global topics and subject areas, like the Global Compact which incorporates the UN’s Sustainable Development Goals. When? Friday 4 January to Friday 25 January 2019. Cost? $450 but with fee waivers for equity students and in particular for students attending Murdoch ATAR RISE Schools. Year 11 and 12 students and high achieving Year 10s in their final term, can take units at CQU which may lead to credits towards a CQU degree. Each of these SUN units has SCSA endorsement. By carefully choosing units that may get you credits you could reduce the number of units you need to take when you go to university. The first SUN unit that you enrol in is free and after that they will cost $375 per unit. Most university units cost between $800 – $1200. Students interested in Humanities and the Arts can enrol in ECU creative units while still at school and get credit for those units when they start their degree. These courses are run in the mid semester break. Students should register for ECU newsletters about these courses so they get early notice of opportunities like this. The line between university and school is blurring. Universities are becoming less rigid about entry requirements and more thoughtful about what elements are required to succeed at university. Categories: Alternative Entry to Uni, Career Advice, Uni in school, University, Year 12 | Permalink. You can quickly develop skills to succeed at uni via a university preparation course. These are short courses, run by universities, to help those who didn’t get the ATAR score needed to get an offer. They are generally a semester long which means you could do the preparation course and start your university degree in semester 2. These courses are free. There are limits on numbers but applying early should easily secure you a free place. These courses can lead to an offer of a place in a range of degree courses. You will gain an understanding of university life and you will learn more about the range of degree opportunities that are available to you. This often leads to students changing their minds about what degree course they want to enrol in. By doing this free course students can save themselves the money it would cost them if they enrolled in the wrong course straight out of school. Although each course is different there are usually 4 subject like…. If you did not achieve the required ATAR cut off point you can check to see if you can boost your score via Adjustment (Bonus) Points. If you didn’t like studying at school… that is probably not going to change if you go to university. If you don’t have good English and communication skills you are going to have trouble writing assignments and exams. University courses are expensive and they don’t necessarily lead to better pay and conditions. Check these facts HERE. Go to a career advisor at school, at a Jobs and Skills Centre or email me to explore your non university options. The Tertiary Pathway Program at Notre Dame is for people who did NOT do ATAR, or who didn’t get the required cut off score. It is a 13-week program which you apply for directly to Notre Dame by 28 September. Applicants need to be able to demonstrate good English language skills to be offered a place. UniPrep & UniPrep (Education Assistant Program is a 6 month full time course or 12 months part time. School leavers must be able to demonstrate that they have achieved their WACE and meet ECU’s English Competency Requirements. School leavers who wait until semester 2 to apply will be classified as Non School Leavers and will need to demonstrate how they meet ECU’s English Competency Requirements. The Curtin UniReady program is now the most open offering in WA. Year 12s apply through TISC and they don’t need ATAR, or English or WACE to apply. Curtin has capped numbers so applicants are ranked according to equity conditions that contributed to educational disadvantage. Applicants are then ranked according to when they applied. In 2018 Curtin sent out offers to 400 ‘equity’ offers to students and to about 400 who applied early. You can read more HERE. Enabling Course in Science, Engineering and Health Completion of this program will meet relatively higher entry requirements and subject prerequisites too. Curtin College offers courses that can result in entry to second year of Curtin’s Bachelor Degree program. Portfolio Entry is not only for the creative courses; it is applicable to courses like Education, Science, Commerce and Health. On Track is a 14 week course that prepares students for entry to a course with a minimum ATAR requirement of 70. On Track Sprint is a 4 week course run over the Christmas holidays that may prepare you for entry to a course with a minimum ATAR requirement of 70. TLC10 – prepares students to apply for Murdoch through a 1 day per week course that runs all year in Mandurah and Rockingham. UWAY – This is an alternative entry pathway and comprehensive support program for students completing Year 12 under challenging circumstances. The program provides academic, financial and personal support, and it is responsive to individual student needs, throughout their final year of secondary school and during their university studies. You can apply for alternative entry to an undergraduate degree course through UWay if your academic achievements have been adversely affected by certain disadvantages. This program is tailored to help you meet entry requirements or boost your confidence. It usually takes between 1 and 2 terms to complete (4 to 8 months). It can be completed online or on-campus. Thanks to Sandra Emanuel CQU Marketing Coordinator for the update. Categories: Alternative Entry to Uni, Career Advice, Parents, Senior school, University, Year 12 | Permalink.